Our top priority is to make every customer’s experience one of their fondest memories! 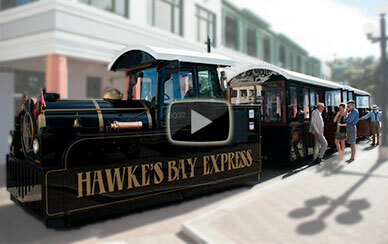 The Hawke’s Bay Express is a family-owned sightseeing tour company. With a love of Napier’s history, its vibrant character, and many myths and legends. The whole team has a huge amount of experience in travel and tourism – between us all, we have travelled to more than 50 countries but always returned home. In creating this fresh and innovative way to experience Napier, we have been careful to get the balance right between showing you all the sights and giving you enough time to really see them! We think that a tour of any city should not just be a series of stops at points of interest; it should be an experience all of its own. When the tour itself is enjoyable, it makes the place you are visiting come to life. 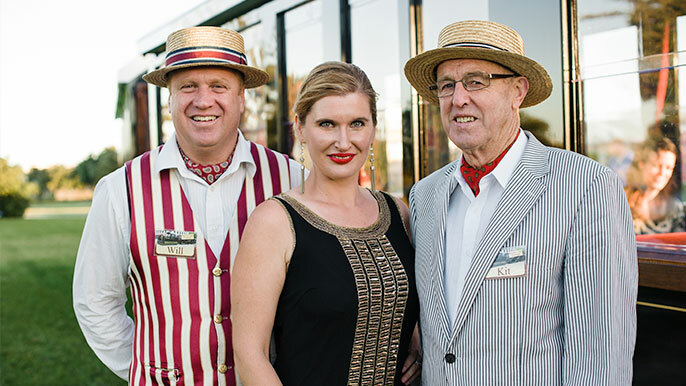 Find out for yourself how to make the most of your Napier experience on the Hawke’s Bay Express. Get aboard for excursions, weddings, and private hire. More tour and service information.